The Studio Drafting Chair is perfect for drafting or crafting. The padded seat and backrest are adjustable in height from 25.5" to 31". 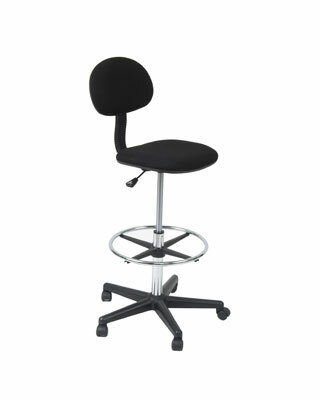 The chair also includes an adjustable height footring which is chrome plated for durability. The chair sits on a sturdy five star nylon base with casters for mobility.